Discover what to expect during pregnancy, childbirth and your postpartum period by browsing our patient information hub. 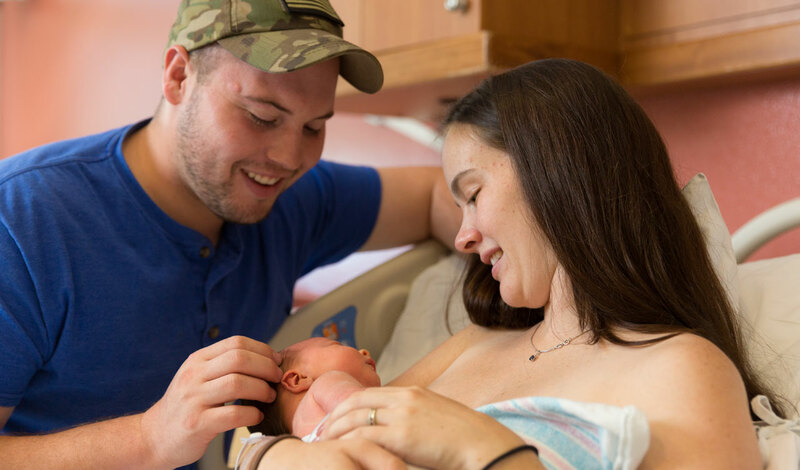 Learn how to successfully prepare yourself and your family for a new arrival. When you’re expecting, getting regular prenatal care makes it more likely you’ll enjoy a healthy, successful pregnancy. Trust UNM Health System for the guidance, support and medical care you and your baby need to stay well. Learn and get support from other moms-to-be when you choose to participate in CenteringPregnancy, a group model of prenatal care. CenteringPregnancy is linked to increased birth weight and gestational age of pre-term newborns, so the program is good for both you and your baby. During each session, you’ll meet briefly with a provider before gathering with your peers to discuss pregnancy topics, such as body changes, relationships, nutrition, breast-feeding, new baby care and smoking cessation. You’ll make friends while learning how to care for yourself, including measuring your own weight, temperature, blood pressure and baby's growth. 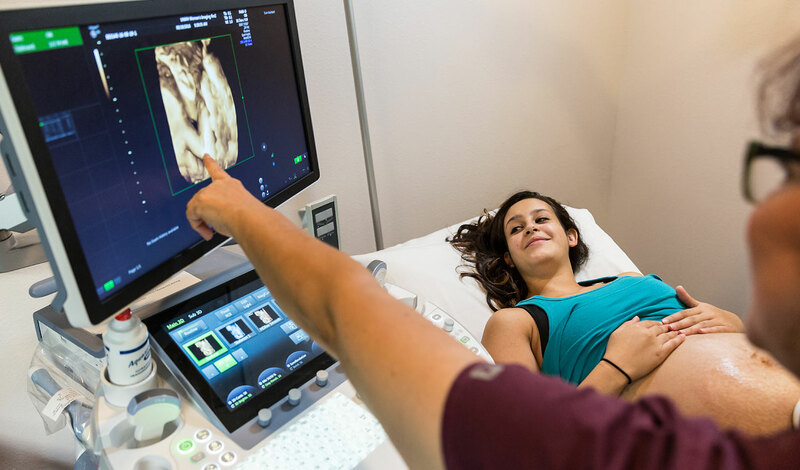 Your certified nurse-midwife, board-certified family medicine physician or board-certified obstetrician may recommend one or more routine ultrasound exams to check on your unborn baby. Ultrasound exams are noninvasive, painless procedures that use sound waves to create pictures of a fetus. You’ll receive copies of the digital images after the test. Medical professionals can use ultrasound, blood tests and other types of prenatal testing [PDF] to screen for or diagnose abnormalities. Talk to your family physician, obstetrician or midwife for help on deciding whether to get tests in addition to ultrasound. Rest assured that you’ll get excellent care if your pregnancy is considered high-risk – meaning you have certain medical conditions, are under 18 or over 35, or are carrying multiple fetuses. Our maternal-fetal medicine specialists rely on the latest medical research and sophisticated testing to help keep you and your baby as well as possible. And they’re available around the clock if you’re in UNM Hospital, so you can get advanced care whenever you need it. If you have conditions such as lupus or heart problems during pregnancy, you may stay in a comfortable, private suite in the women’s special care unit at UNMH. Nurses will monitor your unborn baby’s heartbeat and help make sure both of you stay in the best possible health. And if you go into labor during your stay, we’ll quickly move you to the labor and delivery area just around the corner. If you’ve previously given birth to a baby before 37 weeks gestation, ask about progesterone injections that could help prevent preterm labor [PDF]. You’ll also learn about lifestyle changes that promote full-term delivery. If you experience pregnancy-related symptoms or complications – such as abdominal pain or decreased fetal activity – visit OB Triage on the fourth floor [PDF] of the Bill and Barbara Richardson Pavilion at UNMH. You’ll benefit from a team of caring experts available 24/7.